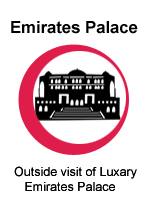 The capital of the United Arab Emirates is welcoming you with open arms. If you are visiting Sharjah or Dubai, taking an Abudhabi city tour from Dubai should be top of your list. 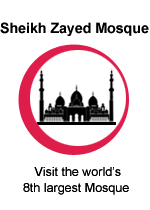 You can visit Sheikh Zayed Abudhabi mosque, which is one of the largest mosques in the world with us. 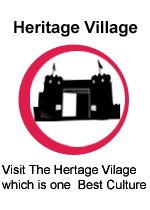 We offer affordable Abudhabi city tour deals for a full day and half day as well. You can enjoy the beauty of Marina Beach, shop in the famous Marina Mall, witness the amazing architecture of Emirates Palace Hotel and much more during this trip. 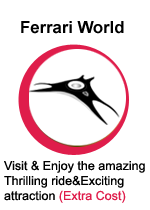 We will also take you to the theme park Ferrari world on return from the Abudhabi city tour. 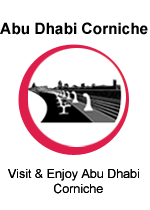 We offer several options for Abu Dhabi city tour activity on the basis of private or sharing selection of booking. 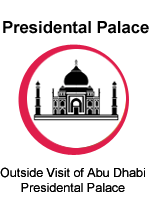 From the City Center Hotels in Dubai, we will provide the pickup for this tour. We will not charge any extra amount if you ask us to pick you up from any other location, but you have to mention it before the reservation. 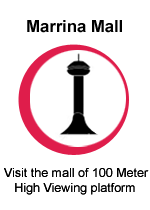 Sharing transfers are offered from Bur Dubai, Deira, Sheikh Zayed up to Marina. It is necessary that all the passengers make sure that their bodies are completely covered while they enter the Grand mosques, Sheikh Zayed Mosque in Abu Dhabi. You will not be allowed to visit the mosque if you wear tight clothing, skirts and shorts, swimwear, sleeveless shirts, transparent and beachwear clothing. 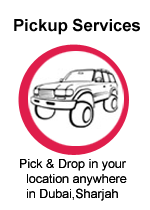 The timings for pickup and drop off can be modified depending on the condition of traffic and your location. According to the new rules of taxation, 5% VAT will be applied to all services, specifically hospitality related, from 1st Jan 2018.